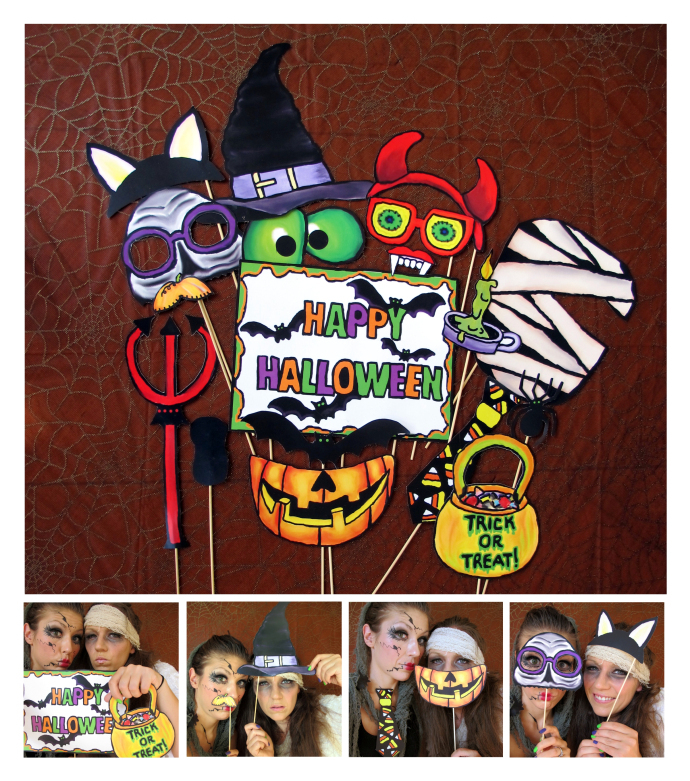 Props make a great addition to any photobooth! Just about everyone loves using them to spice up their photos. We have hats, glasses, wigs, and Incredible Hulk fists. Signs that read “Tonight’s Gonna be a Good Night”, “That’s What She Said”, and many many more pop culture references. Chalk boards so you can customize a personal message, and even letters to spell out love, family, and friends. One of the more basic types of props that your guests will surely enjoy are props on a stick. They’re super simple but make a great addition to any photo. We have a selection of our own like the ones on the left, but if you’ve got your DIY game up, you can make a set for any occasion. 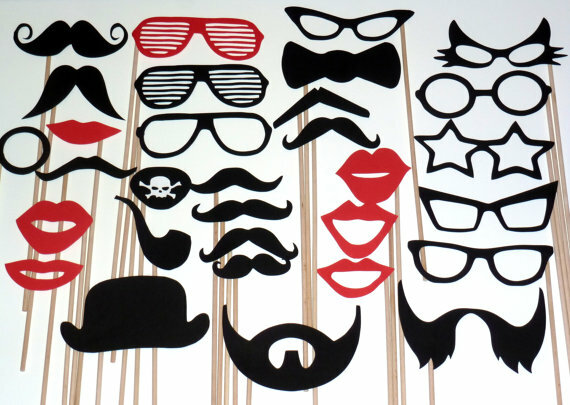 Whether a birthday, wedding, or holiday party, the photo booth props can complement the event perfectly! If you’re short on time, there are quite a few shops on Etsy that have ready made props for sale, as well as other online stores that offer printable options you assemble yourself. We’ve purchased props on a stick through the mail before and although the shipper taped them between heavy cardboard they arrived with broken sticks. Make sure you check with the shipper about their shipping processes and policies to ensure your purchase will arrive safely. If you’d rather not do all of the cutting and gluing yourself, you don’t have to. We have props on a stick on hand at every event we do. 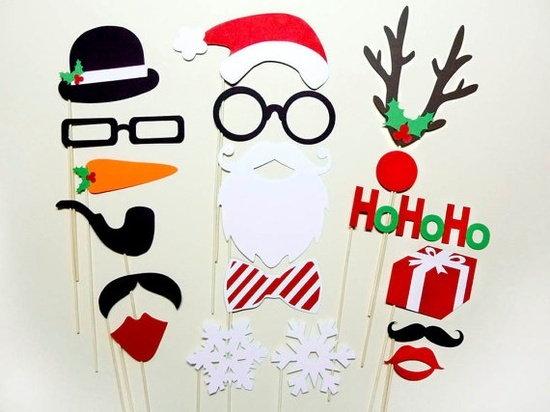 we’d love to speak with you about providing a professional photo booth for your event, including fun props on a stick. 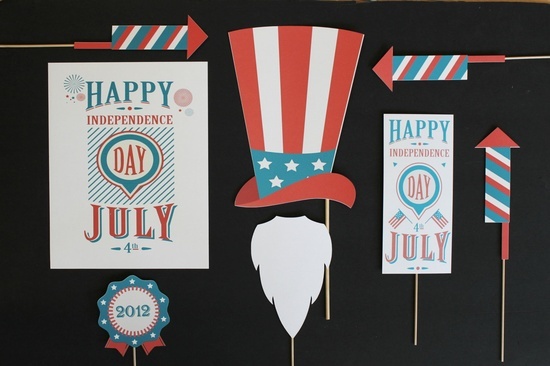 What type of cutouts will be on sticks at your event?